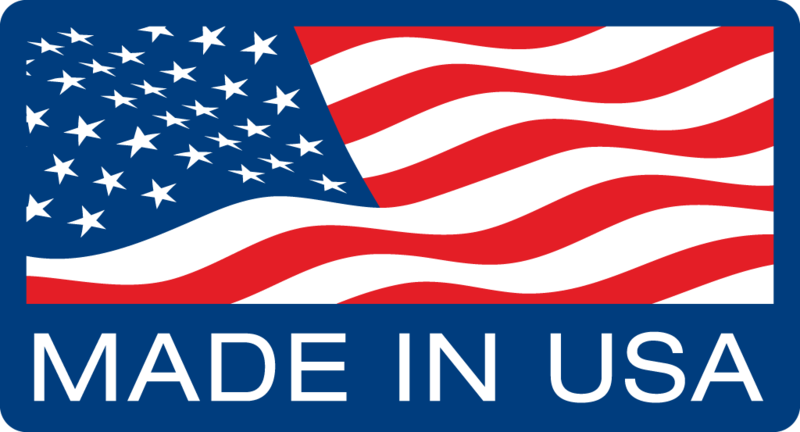 BuildBlock ICFs are the strongest way to build your home. BuildBlock insulating concrete form technology combines the proven strength of concrete and steel with the superior insulating properties of expanded polystyrene, resulting in structures which are more energy efficient, comfortable, durable, and safer than conventional construction methods. 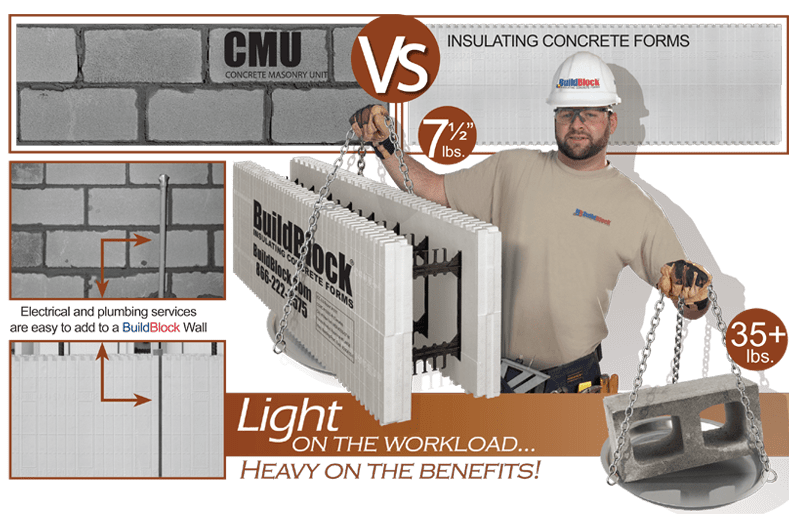 BuildBlock’s insulated concrete form walls are proven to be highly resistant to tornadoes, hurricanes, earthquakes, and fire, providing safety and peace of mind for occupants. Insulating concrete form panels, when combined with the thermal mass of concrete, can result in a performance of R-30 to R-50. This built-in energy efficiency reduces annual energy costs by 30 to 70 percent. BuildBlock’s insulating concrete forms also help create a quiet, comfortable interior for occupants. Internal temperatures are more stable and uniform, an 8-inch ICF wall has an STC of 53 without the need for additional sound mitigation materials or methods. BuildBlock Building Systems offers a comprehensive product line that will complete the envelope of nearly any residential or commercial structure, Build it for life with BuildBlock’s fully-assembled and reversible straight form, fully-assembled and reversible 900 corner form, fully-assembled and reversible 450 corner form, brick ledge form, double taper top form, knock-down block, and BuildDeck floor and roof decking system. BuildBlock forms are fully reversible. This means when you pick up a BuildBlock form you don’t waste your time determining if the form needs to be turned up or down or left or right to be installed. With a reversible form, it always fits no matter which way you turn it. The BuildBlock corner form is used for both right and left hand applications, eliminating the need for dedicated corner forms. Monolithic concrete walls are significantly stronger than those built with concrete blocks. BuildBlock technology combines the proven strength and endurance of concrete and steel with the superior insulating properties of expanded polystyrene (EPS). As a result, these structures are more energy efficient, comfortable, durable, and safer than conventional construction methods. ICF walls can be engineered to bear substantially greater loads than concrete block walls — vertically and horizontally. 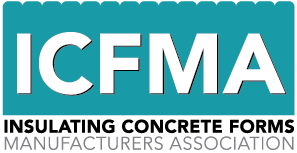 The ICF walls can actually be engineered to share the load that would otherwise rest solely on large steel or concrete columns. One ICF is 16 inches tall and 48 inches long. The wall area of a single form equates to 6 standard concrete masonry units. Not only does the light-weight nature of ICFs help speed construction time, it also creates a much safer environment for workers. This will result in fewer jobsite related injuries and lower workers compensation premiums.